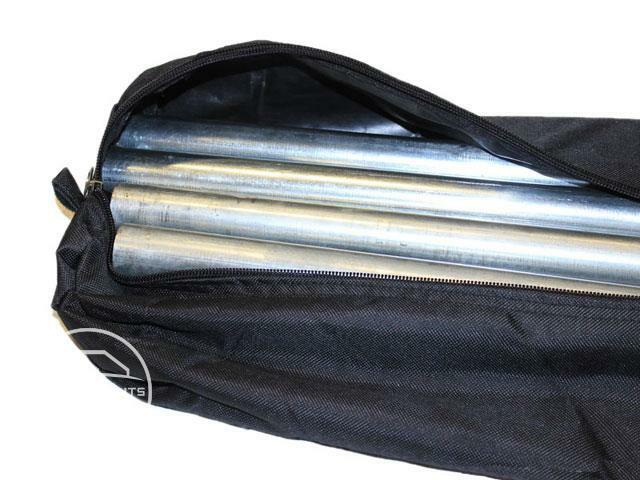 These high-quality travel bags are made of robust, 480 g / sqm Oxford material and are ideal for the storage and transport of Marquees. 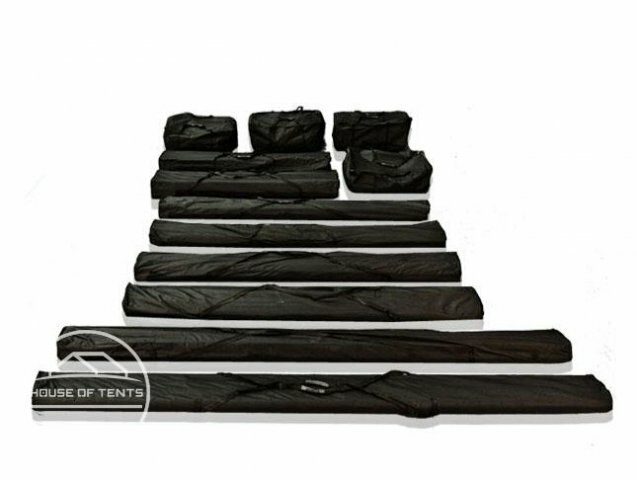 The elongated bags are designed for packing structure components such as the steel poles, whilst the cuboid bags are designed for the tarpaulins and smaller components. 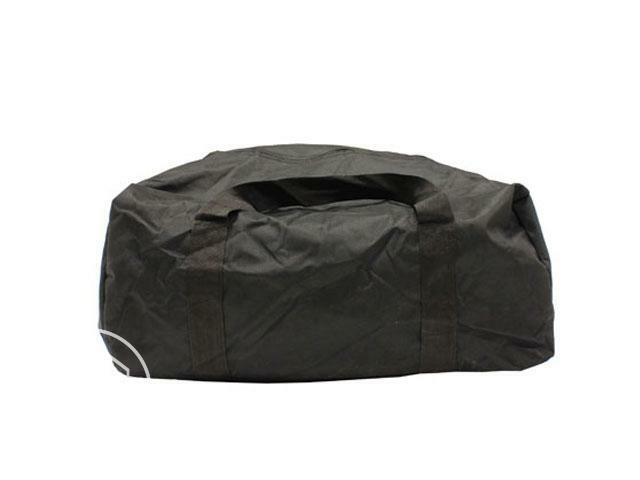 All bags are especially designed for the transport of tent components, they have sturdy zip fasteners and a coating that is water and dirt resistant.